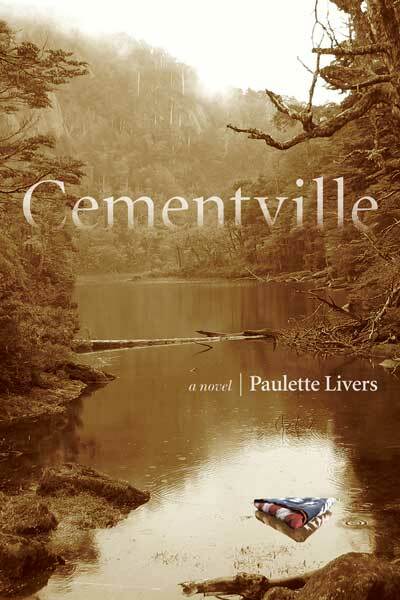 Paulette Livers is the author of Cementville, a 2014 novel about the impact of the Vietnam War on a rural Kentucky community when seven local boys are killed in one battle and a POW returns home to rebuild his life. 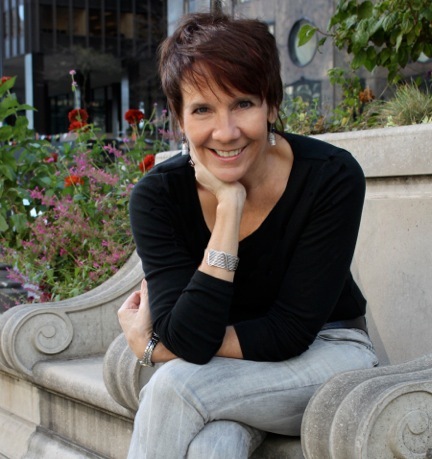 Her debut novel has received strongly positive reviews from Publishers Weekly, Kirkus Reviews, Booklist, the Atlanta Journal-Constitution, and Elle magazine. Livers is the owner of Mighty Sword, a design and writing studio in Chicago. She blogs at http://paulettelivers.com/journal/. The secret about writers that non-writers don’t know is that every time we start a new text, most of us feel as if we’re doing it for the first time. I begin from a place of confusion and move to timid exploration, bushwhacking a new path through the wilderness, certain (hoping!) there’s a glimmer of an idea somewhere in all the undergrowth. The glimmer for my novel Cementville came from events that happened in my hometown a long time ago. I was a child when our country was experiencing the rumblings of major change—the burgeoning Women’s Movement, the Civil Rights Act—changes after which nothing would ever be the same. And we were in the middle of a war from which no one seemed capable of extricating us. Families in my hometown were dumbfounded when the local unit of the Kentucky National Guard was called to active duty at a distant firebase. Sons of farmers trooped off to defend a nearly defenseless Vietnamese hillside stashed with Howitzers and ammo. On the night of June 19, 1969, a thunderstorm fell hard on Firebase Tomahawk. The racket of that middle-of-the-night storm allowed the North Vietnamese Army to overrun the base. Once the fighting was over, Battery C had also lost nine men. The loss to our tiny town was palpable, as if blunt force trauma had been committed upon the communal body. No one seemed immune to the mourning. My older brother was a paratrooper with the 101st Airborne. He sent photographs: a sky raining young men hanging from their silken parachutes like baby spiders released from their mother’s egg sack; a close-up of his ear, bloodied by the debris of an exploded grenade. Eventually discharged, he wandered for a time on the streets of some Cali­fornia city. I put notes in my father’s letters to him, begging him to come home. Among 1973’s returning POWs was an officer who came back to his rural community to settle. Having returned to a hero’s welcome, he purchased acreage from my aunt and uncle in the bucolic bottomlands and knobs of central Kentucky. He won the hearts of neighbors along Wilson Creek, digging them out of winter storms, pulling out stumps and clearing the land of old trash. Our own hometown hero. He was a godsend, my aunt and uncle said. It was a story that seemed almost too good to be true. Four years after he came home, our decorated hero shot and killed his neighbor in an argument over tractor parts. The young man who died, a father of four small children, was a factory worker who repaired farm equipment and cars for extra money. I listened to my aunt and uncle talk about this heartbreaking experience, their anguish tangible and ripping. I tried to wrap my head around what had happened, to reach inside the heart of someone who was little more than a flat hero character in my aunt’s kitchen stories until the day he murdered a young man who had become his friend. Even at 18, I knew better than to expect to find meaning in what had happened, something almost never imparted by tragedy. Still the event—which seemed to be the distillation of the wages of war wrought on this tiny community—continued to haunt me. Years later in a writing group I began working on a series of vignettes. The group suggested the vignettes were part of a bigger canvas; that I might be writing about a community. I might be writing, they said gently, a novel. As the material took shape, multiple voices clamored like a chorus, begging not just for the story of an unhinged war hero or of boys cut down too young, but an elegy for a town gripped in mourning. In the course of researching and writing Cementville, I discovered my adolescent sense of the magnitude of local suffering had not been an exaggeration. In the 1960s, my community of Nelson County, Kentucky had a population of around 30,000. By war’s end, we had suffered the highest per capita loss of any community in the United States. Was possible to contain such loss and grief in a package as feeble as a bundle of words? But one thing I did not set out to do was to write a political novel, notwithstanding Toni Morrison’s declaration that all art is at some level transgressive—i.e. political—or better be! Forster’s epigraph for Howard’s End, “Only connect,” best sums up what I was after. I sought connection, entry into the psyches and the adversities of people I was not at all certain I could ever understand. Like the tragically murderous decorated hero. Absent understanding, I hoped at least to approach his struggle with something like empathy. I was trying to illustrate the human spirit in the face of unfathomable grief, and rage. It does seem, though, that we tend to trail after the ghosts that haunt us. We are dogged by the urge to revisit old territory, recheck the status of old wounds. There’s a saying that applies here, one that’s been stated several ways: The past is another country. What I have come to believe is that one gift of the passage of time is the ability to see with the eyes of the traveler visiting a country for the first time. I don’t believe I could have written this book at twenty-five. Even when I was forty, this particular piece of the past would not have been past enough to feel like another country. Distance from that adolescent self steeped in the stew of grief and unable to place anything so large into a manageable framework, allows the writer I have become through years of lived life, to enter her country and see it with the eyes of the traveler. When I started writing those vignettes of grief-struck families and an unhinged POW I didn’t know I was embarking on the seven-year-long creation of a requiem for a lost time, a lost community, a lost country. As I was arriving at the end of Cementville’s writing and wondering how I would wrap it all up, I thought of something I heard Irish writer Colm Toibin say. He often finds himself stuck in an uneasy helplessness in his work, seeking to rectify the lack of meaning in tragedies. His solution is to find for his stories endings that hover between uncertainty and closure. In the years since adolescence, when I watched the forces of war and social change enact a sort of baptism by fire on my rural community, I have let go any belief I once had that the universe promises us any moral accounting of itself. Still. We do feel the weight of the cargo of war, and some of us feel the need to bear witness. We look around and say Here we are again. Or Here we are still. Storytelling is my tool for witnessing, a narrow and twisting path toward radical empathy, a bushwhacking exploration into what it is to be human. Poet-Provocateur Jessica Helen Lopez drops C**t.Bomb. To sleep, perchance to ... write?